Announcement Thank you for visiting my shop! 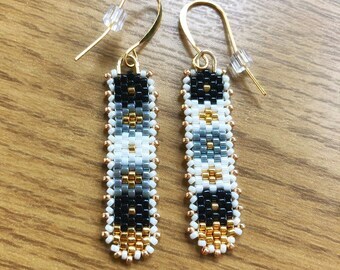 Through bead-weaving I find harmony in myself. I hope the same harmony is offered to you through my creations! 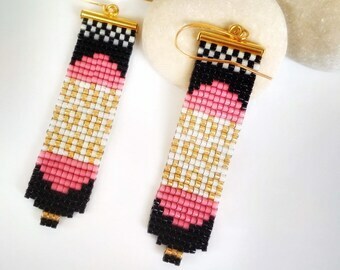 NEW beadwork to welcome spring! 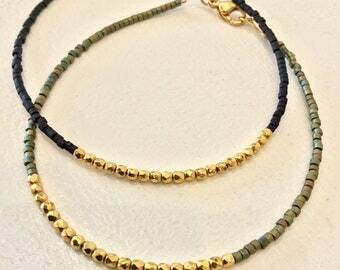 Boho seed bead choker now available in my Etsy shop!! New minimalist everyday bracelets. 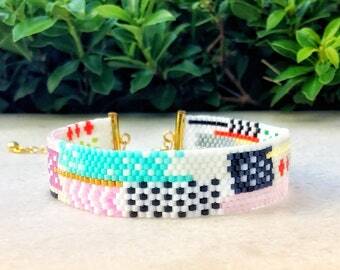 Mix and match colors by stacking bracelets to create a unique look, without breaking the bank! Are you a fringe lover? 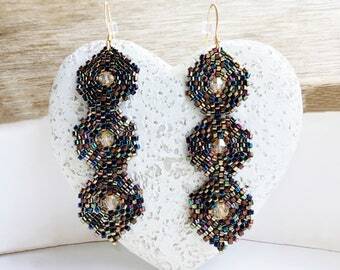 These boho chic earrings are made for you! 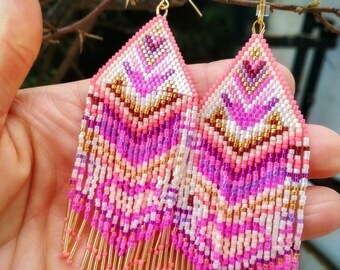 I love beads...especially those used to bead weave an earring!! Beading on a loom...it is very funny and keeps stress away! I ❤️ working with beads! 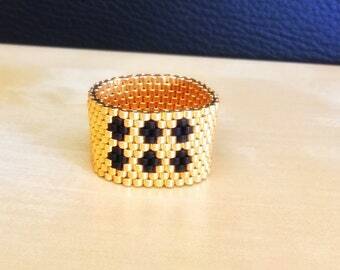 Through bead-weaving I find harmony in myself. I hope the same harmony is offered to you through my creations! I was born and raised in Athens, Greece, where I live. My studies have been taken place in the field of engineering, while I have worked as an engineer for many years. 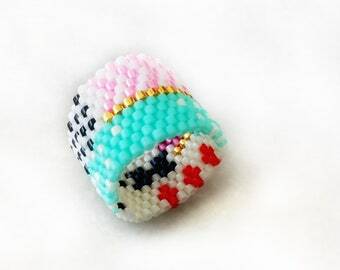 In the meantime, I always got myself involved in various crafting roles, expressing my creativity through knitting, crocheting or cross stitching. Many years ago, I decided to leave my permanent job, to dedicate my full time to my newborn baby. That decision gave me the opportunity to appreciate beads and design jewelry, combining geometry from my studies with art from my dreams. 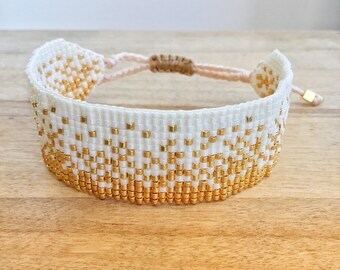 I use premium quality Japanese Miyuki glass seed beads, Swarovski elements and various other impressive beads and super strong and non-fray threads for bead weaving. 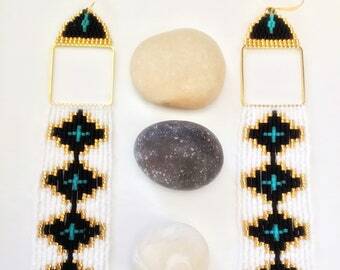 All creations are based on my designs-unless stated different- and have been crafted by me, beading one bead at a time, using a bead loom or peyote, herringbone or brick stitch technique. I'm a self-taught artist. I'm inspired by colors, sparkling crystals and Greek summer. I just love picking the perfect beads for every special creation! 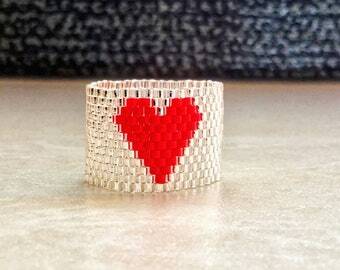 I simply love to work with beads, as through bead-weaving I find harmony in myself. I hope the same harmony is offered to you through my creations!